This video is a demo of the Electro-Harmonix Micro POG with a Bass guitar. I just felt like demoing my new POG with two of my basses. 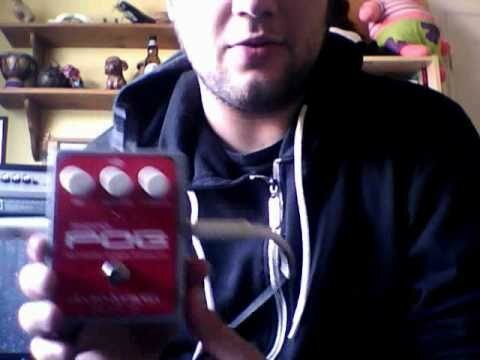 Its an extremely cool pedal and is by far the best octave pedal I have ever used. The low octave sounds rich and warm, unlike most octave pedals which I find sound choppy and loose, especially when playing below an open A. The upper octave is extremely cool for soloing and melodic applications, as well as achieving an 8-string sound. When I tried it out in the store, I was also trying a Boss OC-3 and an MXR Bass Octave. The Boss is the standard, but I found that this pedal really raised the bar.